(Nature). 55 min. PBS. 2017. $24.99. ISBN 9781531700454. 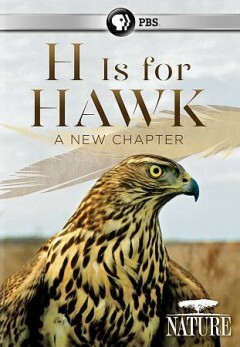 Gr 7 Up—Helen McDonald's best-selling memoir, H Is for Hawk, chronicled the British author's search for solace and healing after the death of her beloved father through the training of a wild goshawk. Obsessed with birds from childhood, McDonald was an accomplished falconer, but she had never worked with this spirited and secretive bird of prey. She undertakes the training of one that was bred in captivity. Wonderful photography captures young wild goshawks in the nest and attempting their first flights. This program follows McDonald's personal evolution from a grief-stricken, solitary life to one where she can share the training of a new goshawk with a friend. McDonald demonstrates the patience required while guiding her new hawk through hours of gaining her trust, learning to eat from her hand, and eventually flying free and returning. Meandering memories and nostalgia for the past permeate McDonald's stories as she learns to live beyond her grief. Although the falconers of Britain are credited with returning goshawks to the wild after a century of near-extinction, nowhere does McDonald explain the need to subjugate a wild bird to the confines of a captive life. VERDICT The program may interest those who enjoyed the book, as well as students who have a specific interest in birds of prey, but the intense focus on the personal detracts from its use for classroom instruction. It's more suitable for public library collections focusing on grief recovery and personal growth.